Karol was born in London and her first experience in dentistry was in 1989. 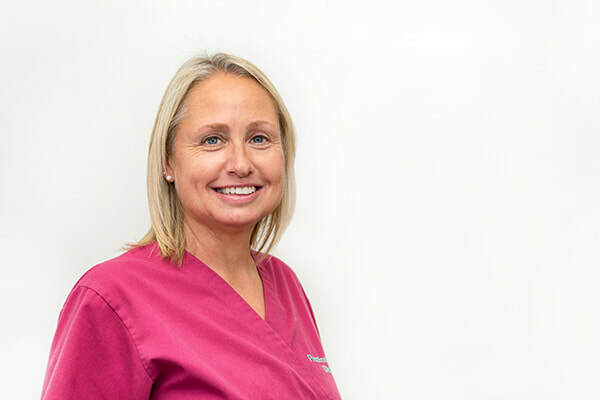 Karol qualified as a dental nurse in 1990 and she worked in various dental hospitals and dental practices mainly in the county of Kent. Karol joined Preston House Dental in 2004. She delivers exceptional patient care and service due to her boundless enthusiasm and commitment. Karol enjoys working on complex dental cases such as oral surgery and dental implants. Karol’s spare time is dedicated to her husband and her two sons. Her family enjoy cinema, theatre and travelling the world. The summer months are spent on Westbrook beach at the family beach hut barbecuing and kayaking.